A reminder that at the next Seattle University education event (Tuesday, January 19, 7:00pm) we will be hosting Seattle Opera's first book club, The Leopard by Giuseppe di Lampedusa. During the evening we'll spend the first part looking at the risorgimento, that period in the mid 1800's that led to the independence and creation of the country of Italy and Verdi's role in the unification of Italy, both in his personal life and in his artistic creations. The second part of the evening will be a discussion of the book, The Leopard, as it relates to this era of Italian history. Don Fabrizio, the protagonist of the story, is a man of larger than life appetites but he must learn to adjust as the society he knows disappears around him. This is a beautifully written story that completes the picture of Italy's unification from the perspective not of the patriotic artist, like Verdi, but from the nobility whose days are numbered. 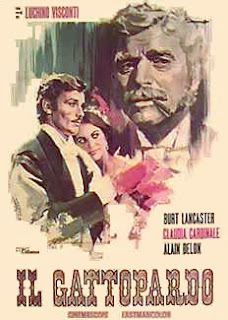 There is also a wonderful film version of this story in both Italian and English directed by Luchino Visconti and starring Burt Lancaster. If you have time you should watch it for it's lush depiction of mid-19th century Italy, particularly that of Sicily. If you haven't picked up your copy of Lampedusa's Leopard yet you can still get a copy at Amusements, Seattle Opera's gift shop. They can be reached at 206.774.4990. Hope to see you there!